Lennox models like the Lennox Elite Series G51 gas furnace are best sellers with consumers who want the proven reputation of Lennox coupled with good ratings and service records. In the good-better-best scheme, the Elite series are their better gas furnaces in the Lennox lineup. Lennox doesn’t publicize pricing so we appreciate readers sharing their information with everyone. We add the info to our HVAC Prices database and pass it along so you can get an idea of the costs of various brands and model. This submission from Julie in Topeka, Kansas gives the scoop on her Lennox Elite Series G51 gas furnace price. Up to 92.1% AFUE, an Energy Star qualified furnace. Single stage operation gives reliable heating. Duralok Plus primary heat exchanger offers excellent longevity and performance. Secondary heat exchanger squeeze more out of the energy burned. Low speed constant fan option keeps the air moving for greater comfort throughout the house. Insulated cabinet and precisely balanced fan reduce noise. Dual-fuel capacity means that a heat pump can be installed for alternating the heat source. Limited lifetime warranty on the heat exchanger; 5-year limited warranty on the furnace, with extended coverage available. Notice that even someone as handy as a builder hired a professional to do the installation. A qualified contractor knows how to properly install a Lennox Elite Series G51 gas furnace to optimize performance, assure that it is venting safely, and get the greatest longevity from the unit. 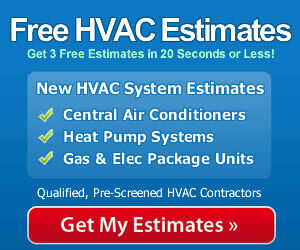 They also validate the warranty to give you the protection you need should the furnace require repairs while covered.